I’m sure everyone will have noticed that San Diego Comic Con has been taking place this weekend and who better to turn to for all the action that the Kidrobot team? KRonikle, the Kidrobot community blog has tons of great coverage on it and we’ve picked out a few highlights above! 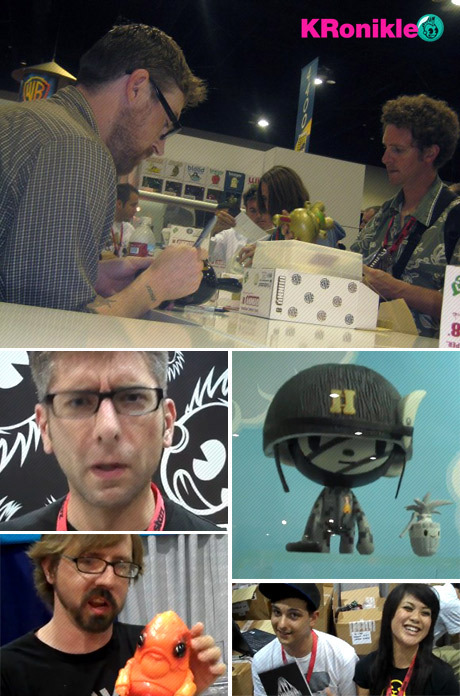 Clockwise from top: Shane Jessup inks Luck Dunny, StrangeCo showcasing exclusive tokidoki and Julie West pieces, Upper Playground on their first trip to SDCC, Rotofugi pimpin’ their new Chris Ryniak releases and Brian McCarty, the Annie Leibovitz of toy photography!